It is a platform for everything from films, games, and music to art, design, and technology. Kickstarter is full of projects, big and small, that are brought to life through the direct support of everyone. Since it launch in 2009, 5.4 million people have pledged $919 million, funding 53,000 creative projects. The filmmakers, musicians, artists, and designers you see on Kickstarter have complete control over and responsibility for their projects. Kickstarter is a platform and a resource; but it not involved in the development of the projects themselves.Anyone can launch a project on Kickstarter as long as it meets our guidelines. 4.Creators keep 100% ownership of their work. 5.Creative works were funder this way for centuries. Mozart, Beethoven, Whitman, Twain, and other artists funded works in similar ways — not just with help from large patrons, but by soliciting money from smaller patrons, often called subscribers. In return for their support, these subscribers might have received an early copy or special edition of the work. 6.Backing a projects is more than just giving someone money. 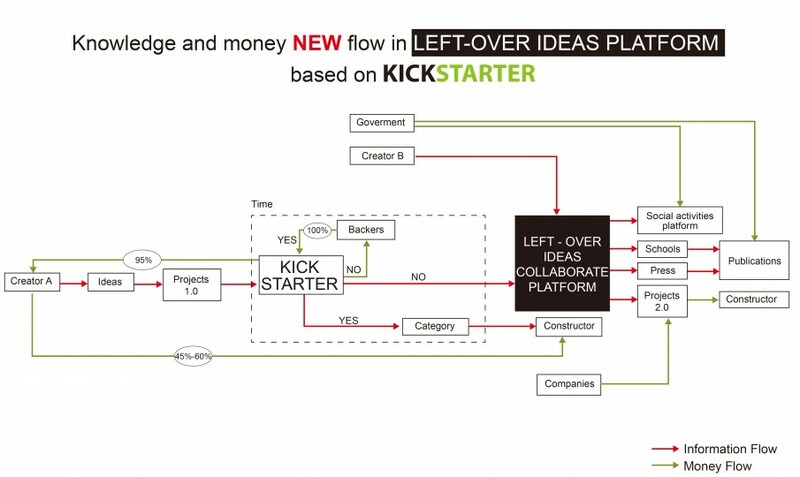 Kickstarter is an extension of this model, turbocharged by the web. People rally around their friends’ projects, fans support people they admire, and others simply come to Kickstarter to be inspired by new ideas. Some projects take longer than anticipated, but creators who are transparent about issues and delays usually find their backers to be understanding. Kickstarter believe that creative projects make for a better world, and it is thrilled to help support new ones. Building a community of backers around an idea is an amazing way to make something new. A project waiting for funding. How was a project process in KICKSTARTER? KICKSTARTER is a 70-person company, launched in 2009, based in New York City’s Lower East Side. People at here spend our time making Kickstarter a little bit better every day, answering questions from backers and creators, and finding new projects to share. A creative project could be would be funded by crowd - source by internet. It is a platform for everything from films, games, and music to art, design, and technology. When a spatial project succeed in KICKSTARTER, it will have spatial quality in the future. A new way to fund money for any design projects. Good inspiration in starting a business plan. 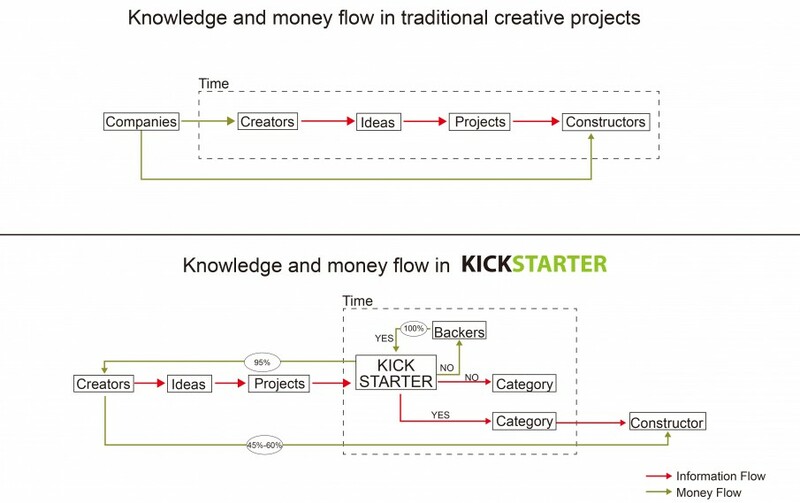 Comparing KICKSTARTER with original design process.